Publisher: Tulika Books, 35A/1, Shahpur Jat, New Delhi-110 049. 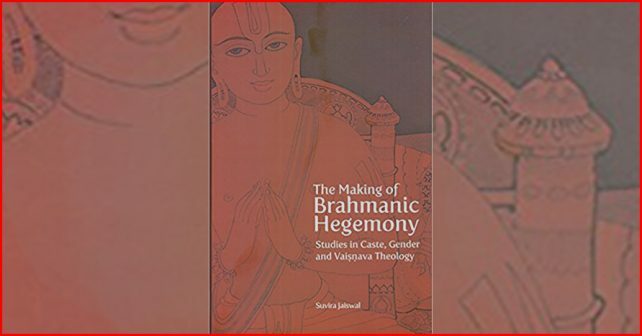 If one is looking for thoroughness in research, no better illustration can be found than Suvira Jaiswal’s account of ‘The Making of Brahmanic Hegemony – The Studies in Caste, Gender and Vaishnava Theology’. Making extensive reading of all the research that had gone into the understanding of Vedic society of India, she shows how the invading Aryans intermingled with the aboriginal tribes in forming the fourfold caste structure and how the society transformed itself from being matriarchal to patriarchal and how it affected the social life. Agriculture paved the way for a sedentary way of life, which in turn engendered contempt or decision for physical labour, and those who followed it were classified as sudras, born of demons or untruth. Often the priestly and the ruling groups joined together to exploit and subjugate the merchants and the manual workers in the later Vedic epoch. The philosophy of rebirth, karma and ultimate moksha (liberation) was the invention of Upanishadic thinkers, which the author says, came to be widely accepted. Yet, the exploited lower varnas did not accept the theory without resistance. The rosy picture presented by the nationalists of social harmony, contentment and acceptance of their lot by people of all castes, and all occupations overlooks traces of resistance and conflicts. Analysing the formation of the sudra varna, the author concludes that the varna, which was meant for servile labour, was a mixed lot, consisting of the defeated and dispossessed Aryans and Pre Aryans, and its nucleus was made of the vanquished sudra tribe. All this was meticulously calculated to emphasize their inferiority and to ward off any resistance on their part. Women through different phases and for various reasons were clubbed with Sudras and were invested with perennial servility. It was also part of Brahminisation. In his Arthasastra, a masterly work on political maneuvering, Kautilya sets out in detail how women in different background can be made use of for promoting the interests of the State. Women skilled in handicraft could be employed in enemy’s palaces for spying. Women who could not stir out of their houses can take to spinning, the state teaching them the craft through women slaves. Spinning can be taken up by widowed or deserted women or former slaves of the royalty or the temples. Women of lower orders, according to Kautilya can do menial work or till the land. Dancers, fisherfolk, hunters and cowherds are to be granted greater freedom demanded by their occupations. Prostitution is considered by Kautilya as an occupation and he categorizes the practitioners according to their talents and training. Their salaries and other compensations were fixed by the government. So, women were free to take up occupations without being controlled by men, but their position and station being controlled by the State, their subservience being ensured at any cost. The entry of foreign powers and the economic prosperity in the Gupta period motivated the rulers to make grants of agricultural lands to Brahmins and monasteries, in order to expand the area of cultivation, using the tribals as workers. Mythological lore was produced by semi-literate Brahmins as instruments to acculturation and dissemination of Brahminical ideology and were meant for the entire public. This process of “indoctrination” was carried on in a massive scale. Though the economic status of traders and landowners improved, their social status remained low, owing to the inviolable varna system. The author draws extensively from the epics ‘Mahabharata’ and ‘Ramayana’ to drive her point home. In her concluding article wherein she delves deep into the hayagriva (the horse headed creature) myth and shows how an original tribal temple of a redheaded god was converted into a Buddhist place of worship and how the rivalry between Buddhism and Brahminism ended with the latter ultimately succeeding, a Brahminical Hindu temple being erected there. 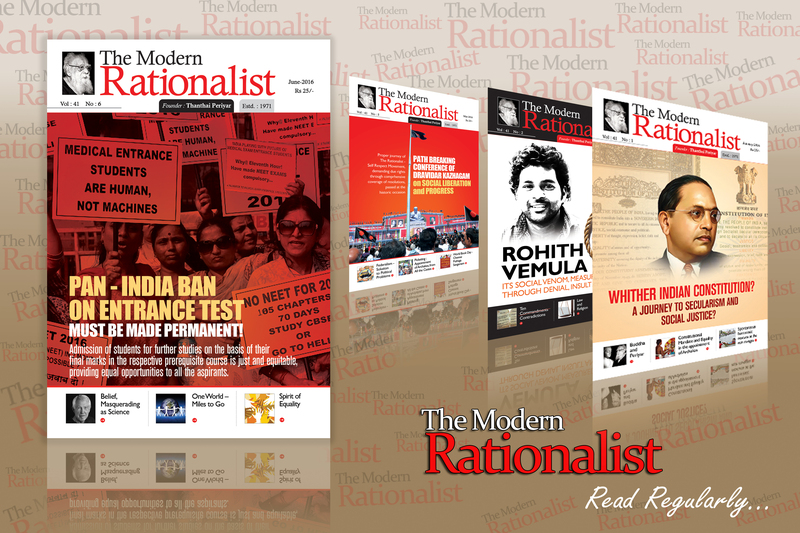 The author says in her preface, “In the making of Brahmanic hegemony, religion and mythology have played an important role in reducing the potency of counter-hegemonic forces and in providing an important means of communication with the subaltern, creating social ties between the dominant and the depressed. It was a complex process in which politics and economy played an important role.” The book is an elaborate and convincing elucidation of this statement.